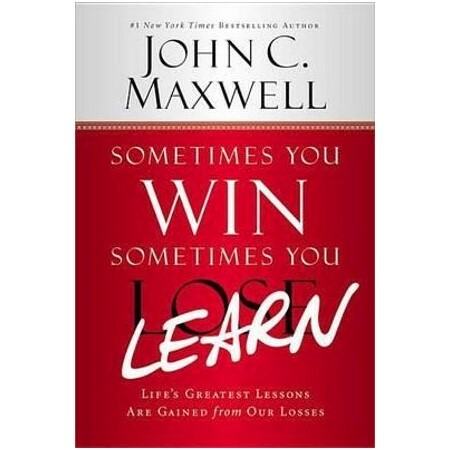 Now available in trade paperback, #1 New York Times bestselling author John C. Maxwell teaches readers how to turn every loss into a learning experience. John Maxwell believes that any setback, whether professional or personal, can be turned into a step forward when you possess the right tools to turn a loss into a gain. Drawing on nearly fifty years of leadership experience, Dr. Maxwell provides a roadmap for winning by examining the eleven elements that constitute the DNA of learners who succeed in the face of problems, failure, and losses. Learning is not easy during down times, it takes discipline to do the right thing when something goes wrong. As John Maxwell often points out, experience isn't the best teacher - evaluated experience is. John C. Maxwell, the #1 "New York Times" bestselling author, coach, and speaker who has sold more than 25 million books, was identified as the #1 leader in business by the American Management Association(r) and the world's most influential leadership expert by "Business Insider "and" Inc. "magazine in 2014. His organizations-The John Maxwell Company, The John Maxwell Team, and EQUIP-have trained more than 5 million leaders worldwide. Maxwell speaks to Fortune 500 companies, presidents of nations, and many top world business leaders.